Serum thiol levels are a known measure of human health status. 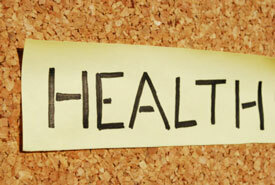 It has been suggested that chiropractic care improves general health. Serum thiol levels are a great way to look at the body’s ability to heal itself. Oxidative stress, metabolically generating free radicals and damaging DNA, is an accepted theory of how we age and acquire diseases. A primary source of oxidative stress factors is the central nervous system. Oxidative stress not only induces DNA damage but it also inhibits DNA repair, which is the metabolic mechanism that protects genes. Chiropractic patients showed higher serum thiol levels than people with active disease! Serum thiol is a powerful antioxidant. It helps to limit free radical damage to DNA which may cause and reduce changes to the cells, altered gene expression, immune suppression, inflammation and cancer. Serum thiol also helps to stimulate DNA repair and immune function and can help reduce the aging process. Ultimately improved immune functions help fight the flu.